Made in India for Indian roads, is the Mahindra RoadMaster G75 summed up in a few words. 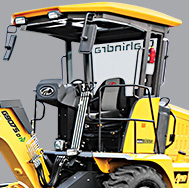 After intense research into the road construction scenario in India, we realized that while many large and expensive motor graders from international companies are available in India, none of them are made for India keeping in mind the Indian requirements where more than 90% are other than national highways. This is where the RoadMaster G75 comes into picture. The RoadMaster G75 is created to offer an affordable, un-compromised and mechanized grading solution for small & medium roads in India. It is designed with extensive research and input from Indian road contractors. The RoadMaster G75 is an ideal grading machine for spreading, grading of earthwork in different types of roadwork across the nation in addition to being used for railway and ground levelling operations across sectors. The G75 is designed to provide optimal output at affordable cost with its simple yet rugged design. The RoadMaster G75 comes with GPRS based remote monitoring system DigiSense that keeps a track of your machine with the touch of a finger. Mahindra has taken its learnings from tractor engines, to bring its fuel efficiency down to an incredible 4.5* litres per hour. 10%* more savings with Mahindra’s DITEC engine, 79.95 HP turbocharged intercooled diesel engine, fuel efficient, compact 4 cylinder, 3532cc engine, BS III pollution compliant. With better technology and design enhancements, Mahindra has been able to lower lubricant refilling requirement with extended service intervals, thus reducing the overall maintenance cost. 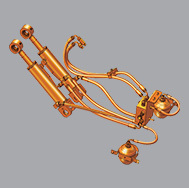 Hydraulic Oil: 50 litres with 2000 hours change interval, Rear Axle Oil (Differential): 14.5 litres with 1500 hours change interval, Engine Oil: 13.5 litres with 500 hours change interval, Transmission Oil: 16 litres with 1000 hours change interval. The 3000 mm Mouldboard comes with an option of having its size reduced by 400 mm. 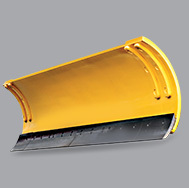 Depending on the requirement the blade size can be reduced by 200 mm on both sides. The cutting edge has a lasting life of about 600 hrs on standard operation cycle. 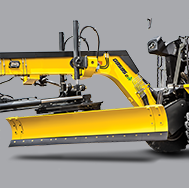 The RoadMaster G75 comes with the option of having additional fitments viz the Ripper and Dozer for added versatility. The Ripper is perfect for ripping hard compacted surfaces before grading while the Dozer helps with spreading. Mahindra believes that the most important part of the machine, is the person operating it. That’s why we have worked hard to make his experience the most comfortable for his long hours of work. Ergonomic layout and seating – all controls are smooth and easy to reach, spacious canopy, lockable storage and mobile charging. Accessories shown may not be a part of the standard product. Actual colours may vary. E & O.E. All dimensions are variable within +/- 5% Standard Exclusions Apply. For further details on the warranty, please contact your dealer. 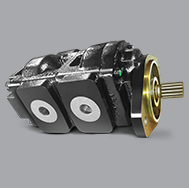 According to approved independent agency, under manufacturer standard PER/VEH/21 certified at 1450 RPM Value measured under specific measuring condition.